March is calling for a very special round on the ground where three musicians meet for a real time experimental live music improvisation. 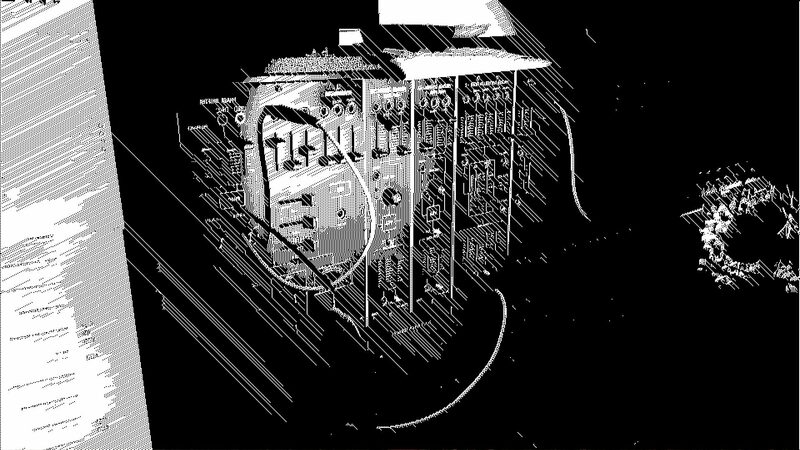 Whoever was digging into the german synthesizer scene has undoubtably used the info pool Moogulator provided to the community: His Website sequencer.de is the most comprehensive german synthesizer knowledgebase and Synthesizer Magazin filled the gap when other print mags focussed more onto virtual tools; leaving out the keys and knobs adored by all the hardware geeks. Luckily Moogulator not only knows the tech specs of any synth ever made, he really knows how to use them to create everything on the fly rather than repeating prerecorded patterns. Being a sound engineer Ron likes building and modifying electronic instruments and toys, a musician to play them, a performance artist to abuse and a DJ to blend and mix all together. 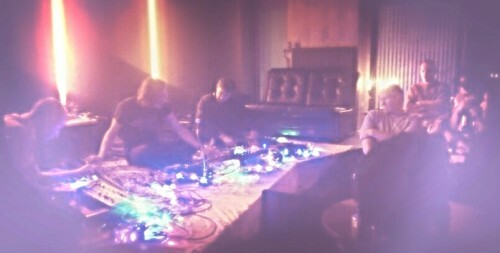 Curating Ground Experiments usually to connect two musicians who should share the stage Ron passed the ball to David this time who brought the three of them together the night before all of them play individually at „In Existase.1“ at Urban Spree. Images by Tino Nettling – thx! !